May | 2014 | Home Wise! Family Smart! For 100 years, University of Nebraska-Lincoln Extension has been elevating youth, families, farms and communities in Nebraska. It’s something to be proud of and we are! Dr. Lindsay gives a little background on the centennial. Enjoy! On May 8, Land-Grant Universities will be celebrating the 100th Birthday of Extension — 2014 marks the 100th anniversary of the Smith-Lever Act! Creating a family journal can be a great project for the whole family. My dad didn’t talk about his experiences during the Korean War until he went on the Nebraska Korean War Honor Flight this spring. It was an amazing experience and has given veterans like my dad, a long overdue opportunity to share their stories. Every family has a story. Everyone’s journey is unique and an important shared legacy for families. Whether you write a journal about yourself or help an elderly family member, you don’t have to do it all at once. You can start small with important dates, events and then let the memories and stories begin. Involve the entire family if you want – make this a family project. Take your time and enjoy the process. Think about your own life and the lives of your family and how you might want to record your family legacy. 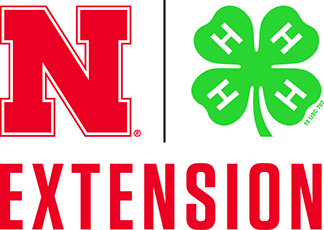 If you aren’t sure how to start, read the UNL Extension NebGuide, Family Journal. You’ll find resources and tips to make the process easier.